Walk all the way toward the back of the valley, pay the ¥500 park admission, and you'll see this. 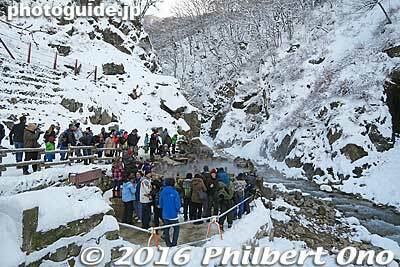 Tourists crowd around the onsen bath made especially for the snow monkeys. In a beautiful location next to the river. Just the day before, there was little snow here.